Deciding on a domain name is becoming a much more complex issue. The association that registers domain names (ICANN.org) has expanded your options from “.com, .net, .org, .us” and such to a plethora of new Top Level Domains. The number of new generic Top-Level Domains (gTLDs) delegated into the Internet’s Root Zone has topped 100. This change is both positive and negative for businesses. 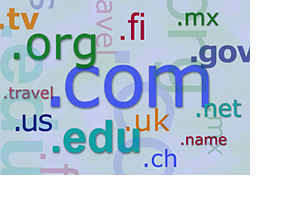 For more information about these new Top-Level Domains click here. For most of our clients we are encouraging you to stay with the .com, .net or .org convention for now. Larger companies will be embracing the new options but it will take a while before customers discover and adopt these new conventions. When choosing a domain name we encourage our clients to think like one of their customers. Rather than trying to simplify a complicated and lengthy company name with abbreviations, we will research and recommend a name that your target audience is most likely to associate with your business. We will research name availability and register the name(s) that you approve. Once the name has been registered we will direct the NS records to your hosting company.